There are a few things I love about this recipe. First off, I love that it calls for ingredients I always have on hand. 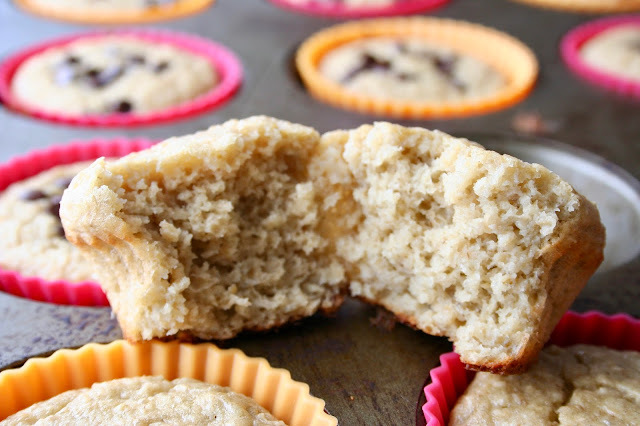 Secondly, I love that these muffins are healthy and lastly, I love how good they are! 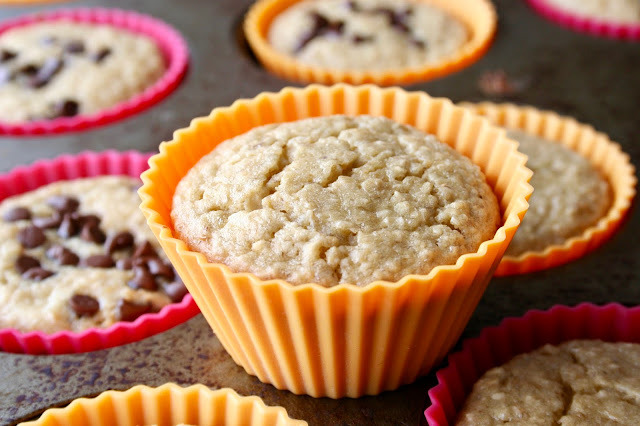 These muffins call for absolutely no flour or oil and the fact that you throw all of the ingredients into the blender makes them the easiest thing ever. And look how soft and fluffy they are! 2. Add all the ingredients except for the chocolate chips to a blender and blend on high until the oats are broken down and batter is smooth and creamy. 3. Pour batter into prepared muffin pan, filling each cup 3/4 full. 4. 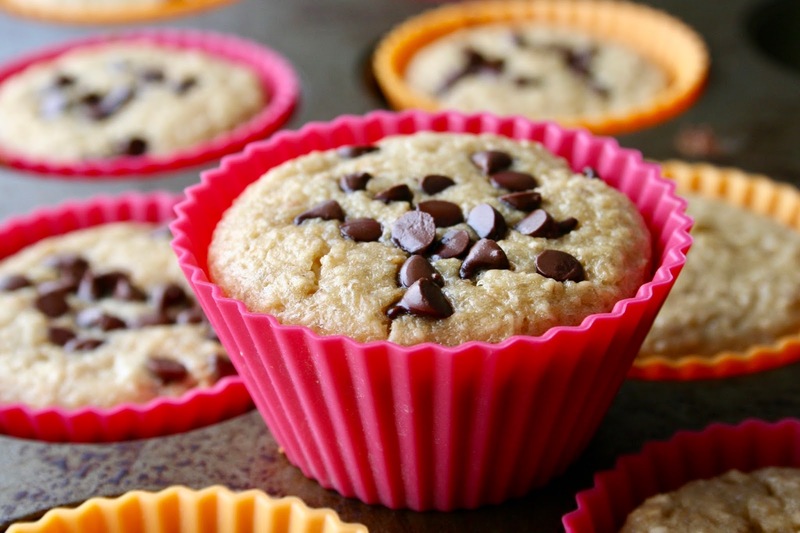 If desired, sprinkle a few chocolate chips over the top of each muffin before or after baking. 5. Bake 13-15 minutes, until an inserted toothpick comes out clean. Allow muffins to cool in pan for 5 minutes before removing.